I put this down with a reluctant sigh. My first encounter with O'Farrell's writing was so engaging I had to immediately acquire an earlier novel to counter the feeling of loss. The central characters, Daniel and Claudette, meet on a rural road in Ireland. They're both on the run: Daniel from a failed marriage and horrible custody battle in California; Claudette from the public gaze as a famous film star. They fall in love, have children, and carefully construct a life in rural isolation. This life is put in jeopardy by Daniel's misreading of a pivotal event in his past. Juggling multiple perspectives, chronologies, and continents, this engrossing novel is contemporary in structure but feels like good old-fashioned storytelling. An irresistible love story, an unforgettable family. 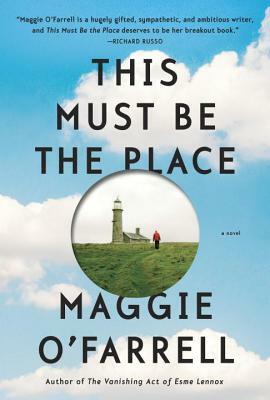 Best-selling author Maggie O’Farrell captures an extraordinary marriage with insight and laugh-out-loud humor in what Richard Russo calls “her breakout book.” Perfect for readers of Where’d You Go, Bernadette. Meet Daniel Sullivan, a man with a complicated life. A New Yorker living in the wilds of Ireland, he has children he never sees in California, a father he loathes in Brooklyn, and a wife, Claudette, who is a reclusive ex–film star given to pulling a gun on anyone who ventures up their driveway. Claudette was once the most glamorous and infamous woman in cinema before she staged her own disappearance and retreated to blissful seclusion in an Irish farmhouse. But the life Daniel and Claudette have so carefully constructed is about to be disrupted by an unexpected discovery about a woman Daniel lost touch with twenty years ago. This revelation will send him off-course, far away from wife, children, and home. Will his love for Claudette be enough to bring him back? MAGGIE O'FARRELL is the author of six previous novels, After You’d Gone; My Lover’s Lover; The Distance Between Us, which won a Somerset Maugham Award; The Vanishing Act of Esme Lennox; The Hand That First Held Mine, which won the Costa Novel Award; and Instructions for a Heatwave, which was short-listed for the Costa Novel Award. She lives in Edinburgh.